We take our commitment to the evironment seriously. Vytex® based products are made in our zero compromise process which produces less waste and keeps people safe. Vytex with its green beginnings, is biodegradable and renewable unlike the petroleum-based synthetics in use today. Upgrading to Vytex can eliminate the need for added processing steps to lower protein levels, saving energy, water, supply, and material handling costs. Our environmentally friendly process also improves performance characteristics due to the non-rubber impurity removal process. These benefits include color, stability, gel time, air retention, strength and durability. Vytex is a revolutionary plant-based raw material sustainably harvested from the Hevea brasiliensis tree. It is then treated with a non-toxic multi-patented process to virtually eliminate all of the antigenic problem-causing proteins that can result in an allergic reaction to natural rubber latex without the use of harmful chemicals typically found in non-latex alternatives. This makes Vytex the cleanest rubber product on the market. 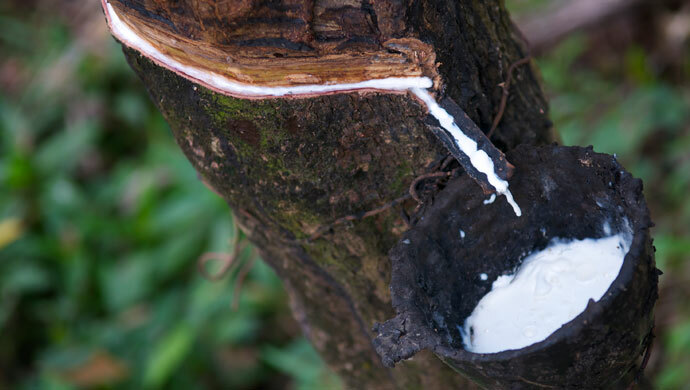 Vytex can easily be used as a source material for end product applications wherever Natural Rubber Latex, synthetic latex blends, nitrile, and petroleum-based products are used. Vytex is free of petroleum, volatile organic compounds (VOCs), harsh chemical and filler agents. Vytex is natural, renewable, stronger, and safer.